Stigma associated with mental health problems is a significant public health issue. 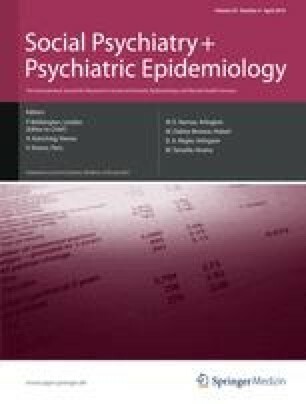 Patterns of stigma and discrimination vary between and within communities and are related to conceptualisations of, and beliefs about, mental health. Population approaches to addressing stigma rarely consider diverse cultural understandings of mental health. 257 members of the major black and minority ethnic communities in Scotland participated in 26 mental health awareness workshops that were designed and delivered by community organisations. Questionnaires measuring knowledge, attitudes and behavioural intent were completed before and after the intervention. Community led approaches that acknowledge cultural constructs of mental health were received positively by community groups. The study found significant reported stigma in relation to public protection, marriage, shame and contribution, but also high levels of recovery optimism. The workshops resulted in significant positive change in relation to knowledge, attitudes and behavioural intent amongst participants, with most aspects of stigma showing significant improvement, with the exception of dangerousness. The paper argues community approaches to tackling stigma are more valuable than top-down public education and could form the basis of national initiatives. Refinements to the evaluation framework are considered. The authors would like to acknowledge a broad community of practice involved in this programme, including Chinese Healthy Living Centre, Chinese Community Development Partnership, STEPS Primary Care Team, Glasgow Association for Mental Health, Mental Health Foundation, Shante Bhavan, Mel Milap, Pollockshields Development Agency, Youth Counselling Services Agency, NHS Greater Glasgow And Clyde. Particular acknowledgements are due to Pratima Pershad for community development support, and the staff and volunteers of CHLC for time spent developing the workshop template.